Fifty years after Professor Challenger’s discovery of the Lost World, America’s last dinosaur circus has gone bankrupt, leaving a dozen avisaurs, centrosaurs, ankylosaurs, and one large raptor abandoned. Now a daring expedition plans to do the impossible: return the Jurassic giants to the wild. 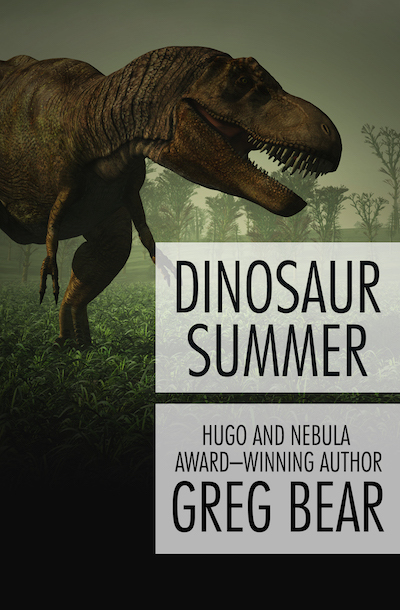 Two filmmakers, a circus trainer, a journalist, and a young Peter Belzoni must find a way to take the dinosaurs across oceans, continents, rivers, jungles, up a mountain that has been isolated for seventy thousand years . . . Then, if they make it, all they will do is face the prehistoric wonders, dangers, and terrors of the Lost World.